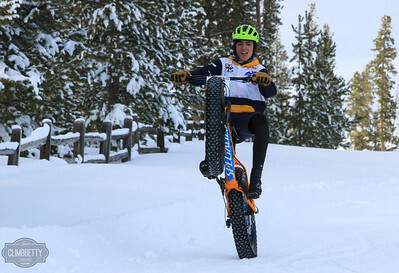 ULLR BIKE | Maverick Sports Promotions - Where the athlete is first! 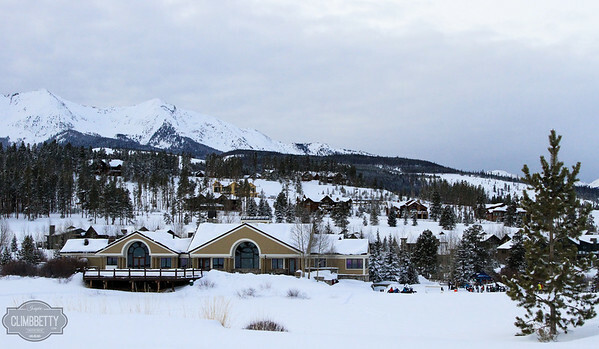 This year’s course returns to the Gold Run Nordic Center, located at 200 Clubhouse Drive, Breckenridge, CO. This was the site of Ullr Bike for the first 3 years. 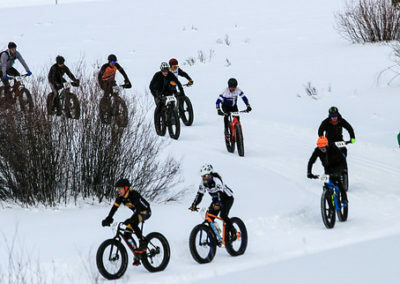 The staff at Gold Run are maintaining Fat-bike Dedicated Trails! And they are so awesome that we are going to move our course from the previously announced venue to Gold Run. We wouldn’t make a switch this late in the game unless we were 100% certain that the quality of the experience is improved. In short, we tether ourselves to our #1 Value at Maverick Sports…”Where the Athlete is First”! 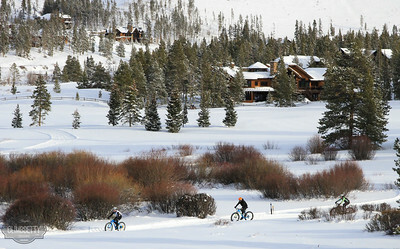 Gold Run Nordic Center has Borealis Bikes (nice ones) for rent right there at the venue. CLICK HERE for info on the Ullr Fest Celebration! Option 2-Register on-site at the Gold Run Nordic Center beginning at 2:00pm. Registration will be set-up in the Clubhouse. In the summer this is the Jack Nicklaus designed Breckenridge Golf Club! There is ample parking! Registration will be set-up inside the Clubhouse! Welcome to Ullr Bike! 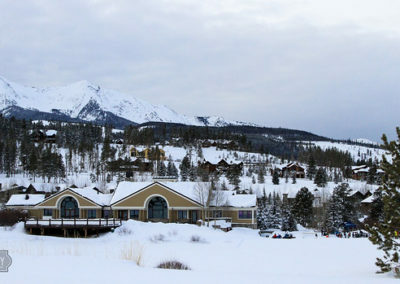 This is the 5th year of the event and we’re back to our roots at the Gold Run Nordic Center. Extra repeat mileage will be added to the course to bring the distance up to 12-13 miles for Adults. This description below is the 8 mile Junior course. 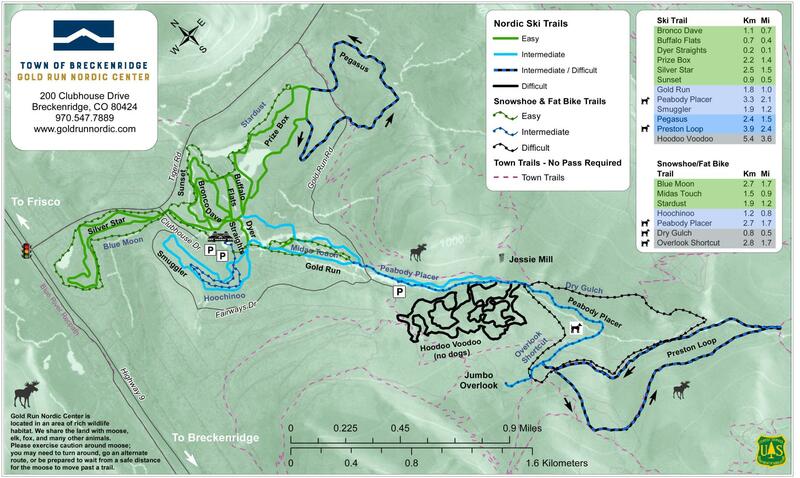 And here’s a map of the entire Gold Run Nordic Center. 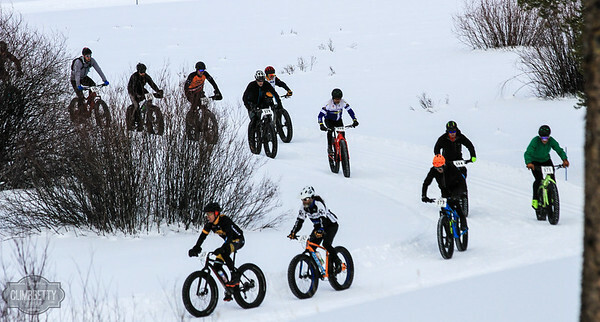 Fat Bike trails are dotted…see the legend! A section of the course is a figure 8 in pattern. 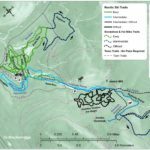 Adults will repeat the Dry Gulch Trail section twice…read on for more! At Upper Flume Trail Juniors turn right (their 2nd time here) and continue. Adults repeat Dry Gulch Trail section and Turn right onto Upper Flume Trail their 3rd time here.